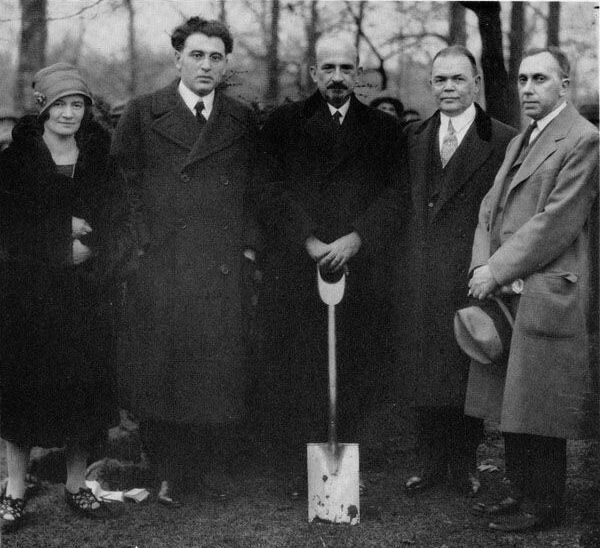 Taken in 1927, this old Cleveland Press photo is not the dedication of the garden. 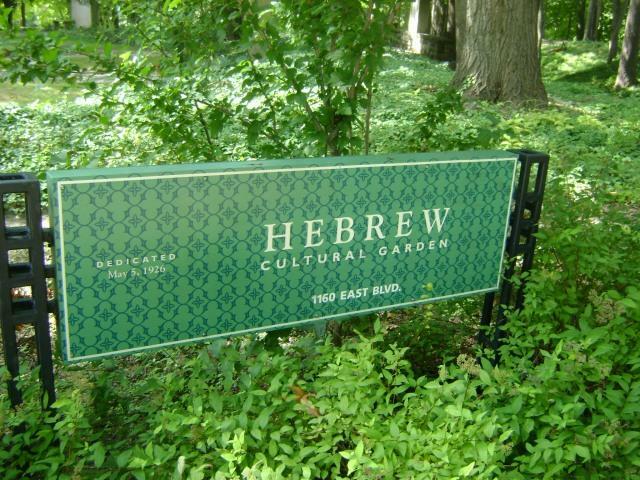 The garden was dedicated on May 5, 1926 with the great Hebrew poet Chaim Nachman Bialik delivering an address in Hebrew. 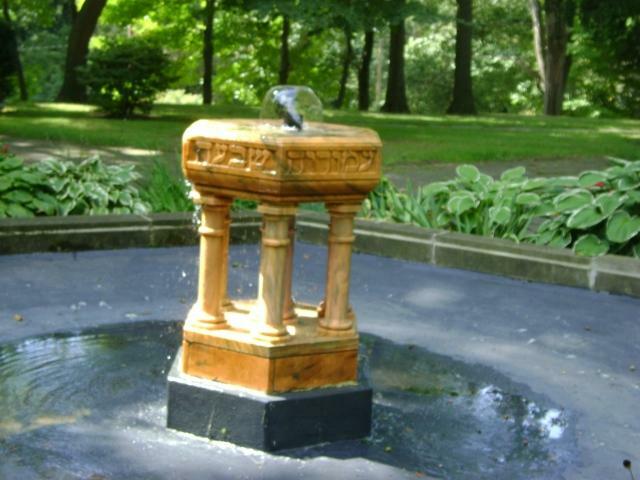 It was translated by Solomon Goldman, then rabbi at the Cleveland Jewish Center on East 105th Street - today The Park Synagogue. The next year Chaim Weizmann, president of the World Zionist Organization, visited Cleveland. He too was given the honor of planting a tree. Jennie Zwick was a leader in Jewish womens circles. 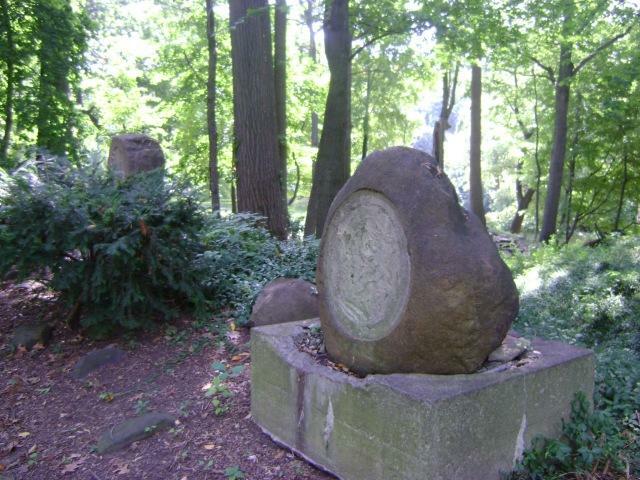 Abba Hillel Silver, was Cleveland's leading Zionist and rabbi of The Temple, located a mile away at University Circle. William Hopkins was City Manager and the man in whose memory our airport is named. Leo Weidenthal led the effort to establish the entire array of cultural gardens along Liberty (now Martin Luther King Jr.) Boulevard.